For 2006 Calabria has introduced the Pro V-2, a wakeboarding machine that screams for attention. Not only is it one of the most spacious 20-footers around — something any rider and posse can appreciate — it also has the stylish attitude to match. 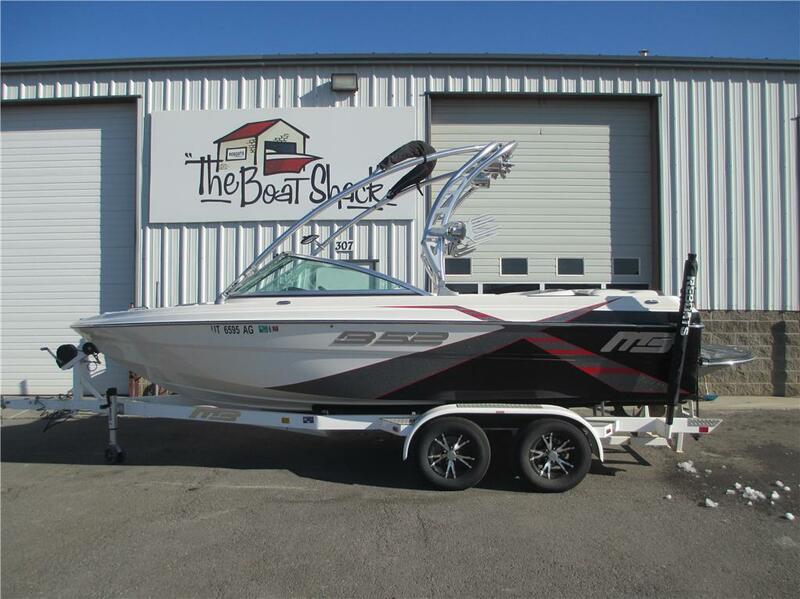 The stainless-steel tower and new dash design catches the eye right away, and the wakeboarding-oriented performance most definitely will get your attention. Wakes: The Pro V-2's wake performance mirrors that of its older brother, the Pro V, offering rampy wakes with excellent shape. Beginners through intermediates will certainly get their fix by using the patented PureVert ballast system to boost wake size, but advanced riders will want to maximize their crew weight or add more ballast for optimal wake size. Handling: Innovative ideas like the forward placement of the gas tank help the V-2 knife through the water with an efficient running attitude. With the MerCruiser Black Scorpion 330-horsepower engine achieves a respectable hole shot, and the boat holds its own through aggressive turns. Comfort: It is easy to stretch your legs on this exceptionally spacious 20-footer, and the overall fit and finish of the Pro V-2 made for a comfortable, stylish ride. Especially slick looking is the appearance of the carbon-fiber-look upholstery. Accel. To 30 mph: 5.8 sec. 144.7 ft.
Accel. To 36 mph: 7.7 sec. 236.6 ft.